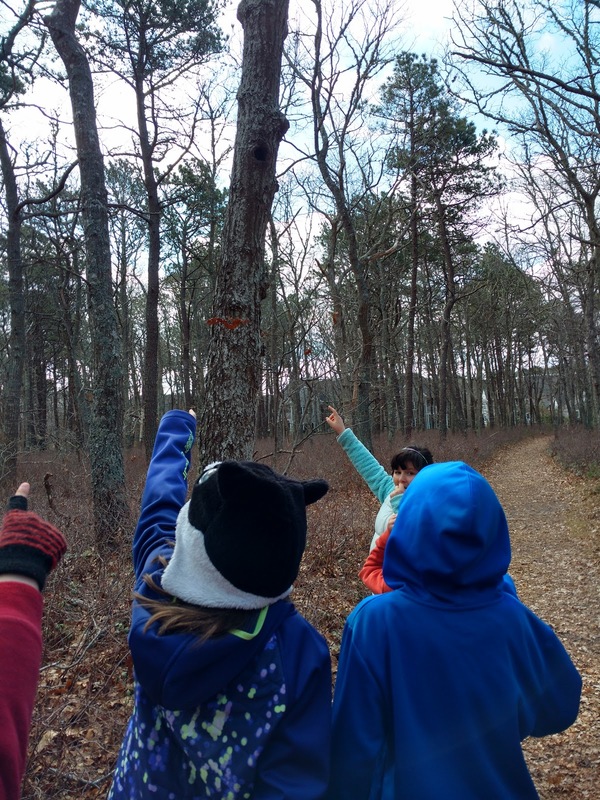 Cape Cod typically has to wait quite a long time to reach warm temperatures in the spring, and this April has been typically chilly. 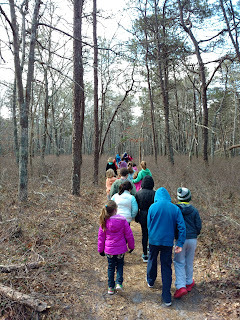 As long as you bundle up though, a walk in the woods is always a good idea, especially with a group of local school kids who maybe don't get to hike all that often. 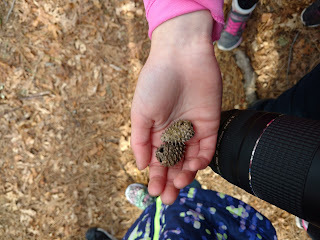 I think one of the reasons folks don't maybe find woodland trails as welcoming as maybe I do, is that they are concerned about ticks and mosquitoes and maybe even a little of the unknown. 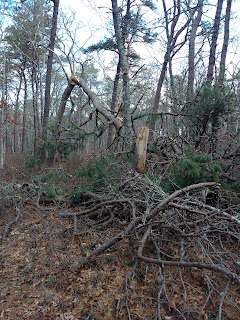 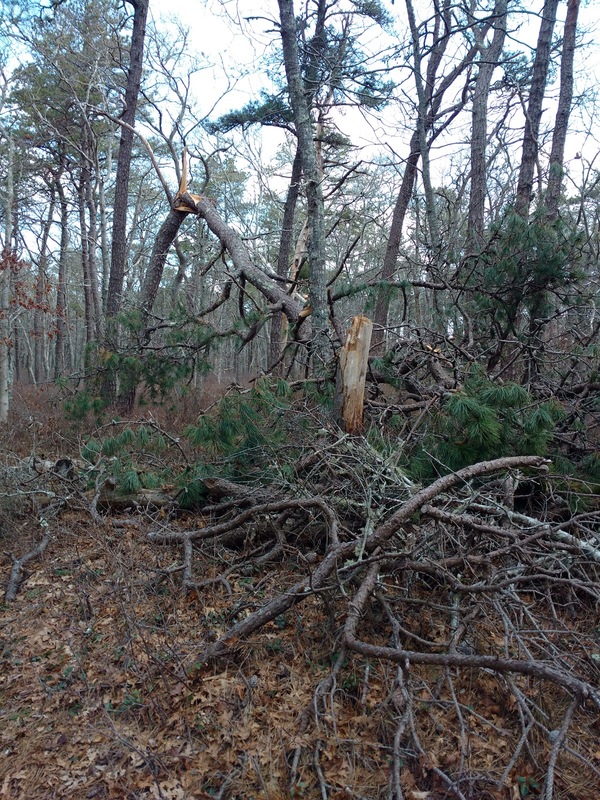 The trails at Flax Pond, now conveniently connected to the Yarmouth section of the Rail Trail, are very well maintained, even after that crazy stormy March! 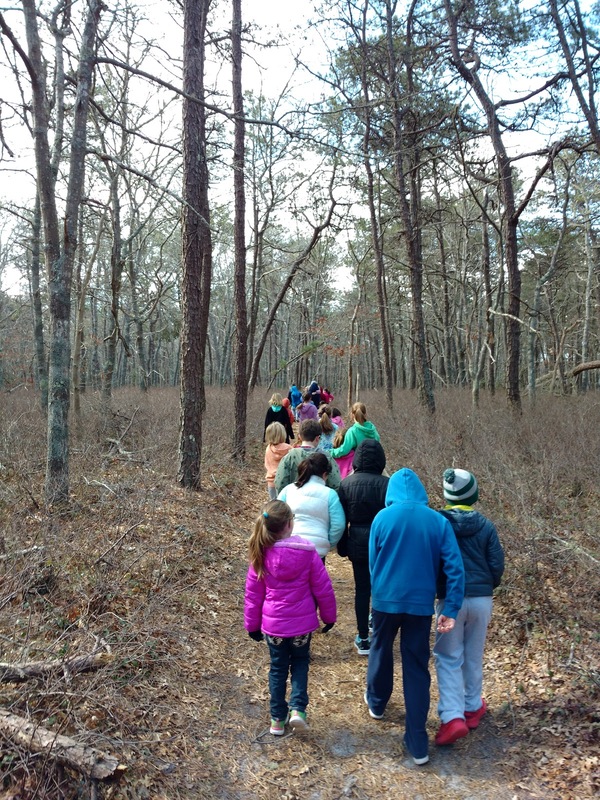 If you go for a woodsy walk, just be prepared; educate yourself and be responsible for yourself. In other words, wear the right footwear & clothing, wear bug spray when seasonably necessary (warmer weather) and do a tick check as soon as you are finished with your walk. 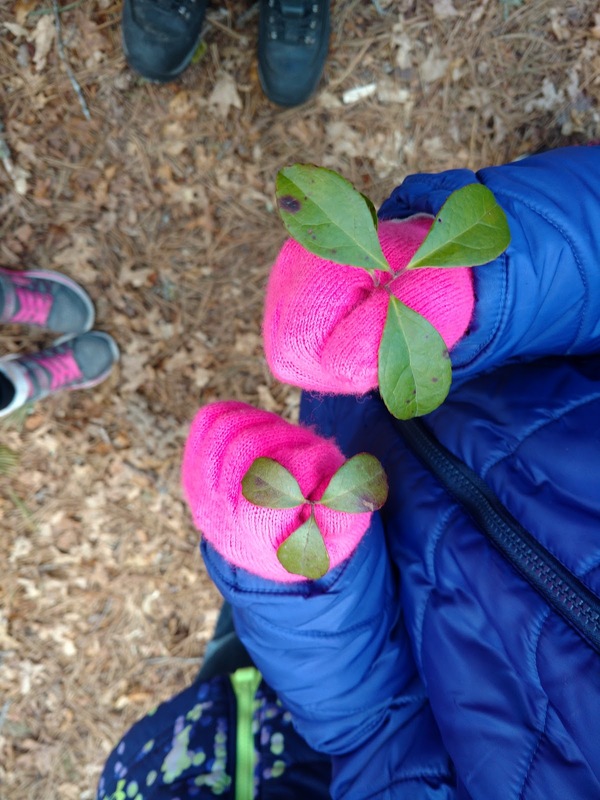 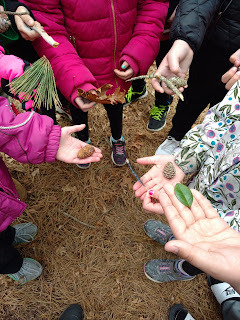 The treasures that you will find are natural and when there is built in human curiosity along for the walk - it makes for a healthy combination of nature appreciation and fresh air. 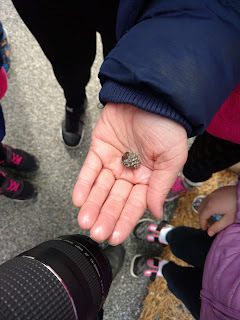 We were fortunate to see and hear several bird species, including a truly incredible close up of a Hairy Woodpecker, pecking away at a tree trunk, just a few feet away from us. 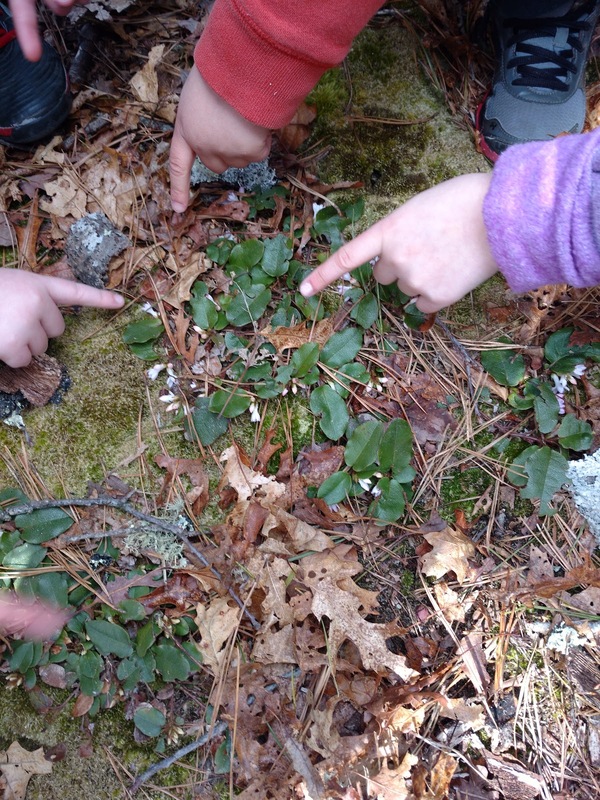 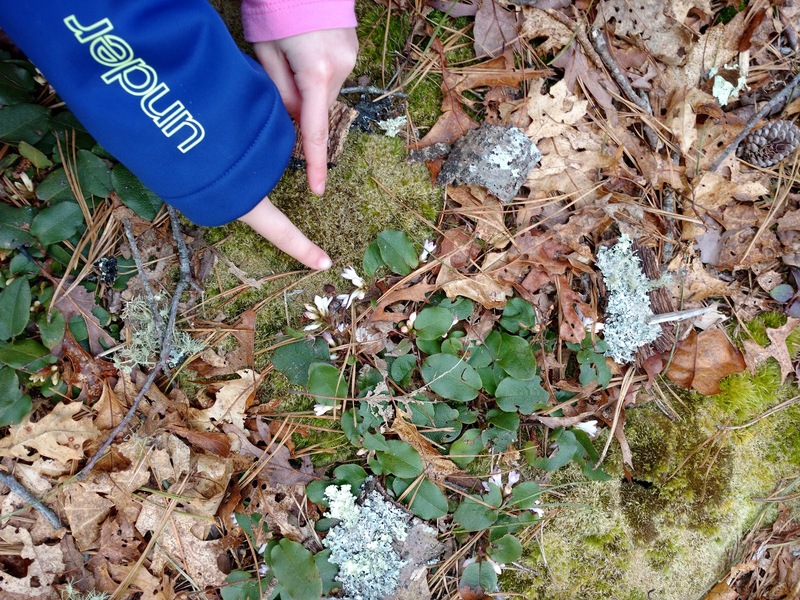 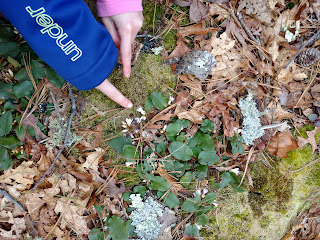 We even spotted the state flower, Mayflower (Trailing Arbutus) in lovely bloom and fragrance. 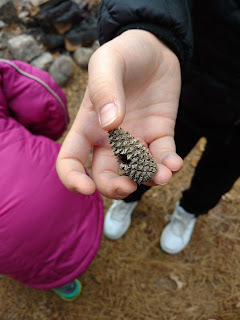 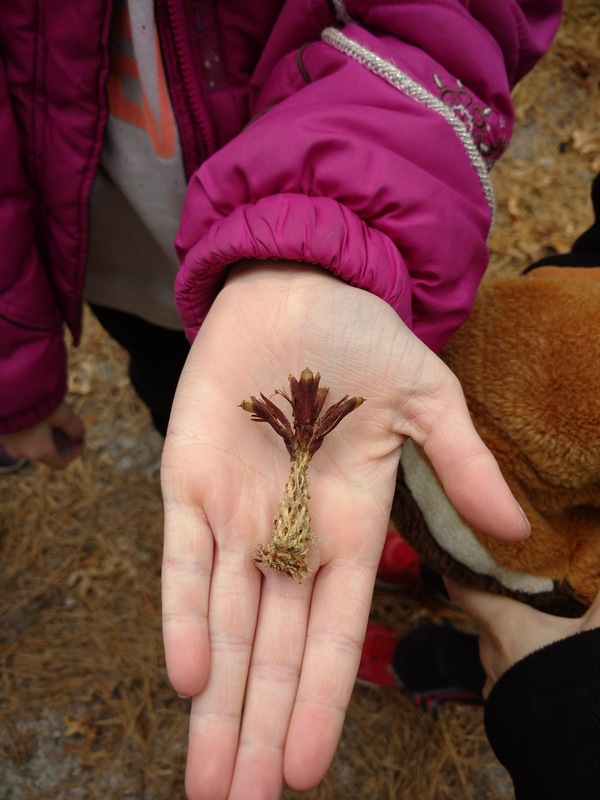 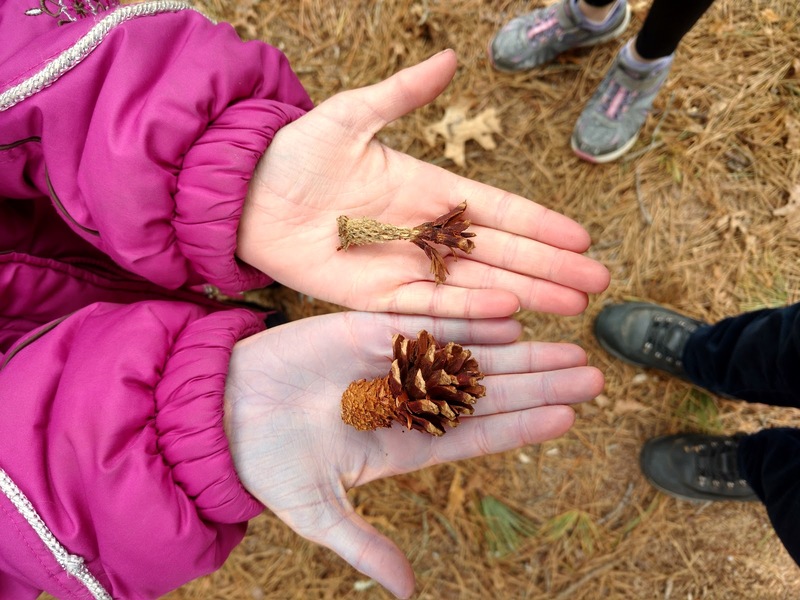 If you check out the photos below, you'll see all of the different natural gems the day campers discovered for themselves along the way. 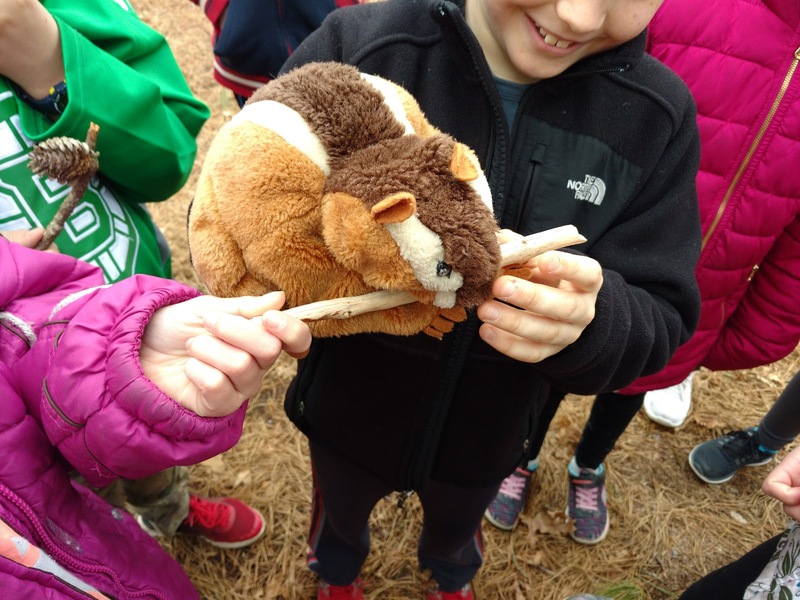 like sticks, in order to keep their incisors healthy and strong. Conveniently, a chipmunk puppet joined us along our way.